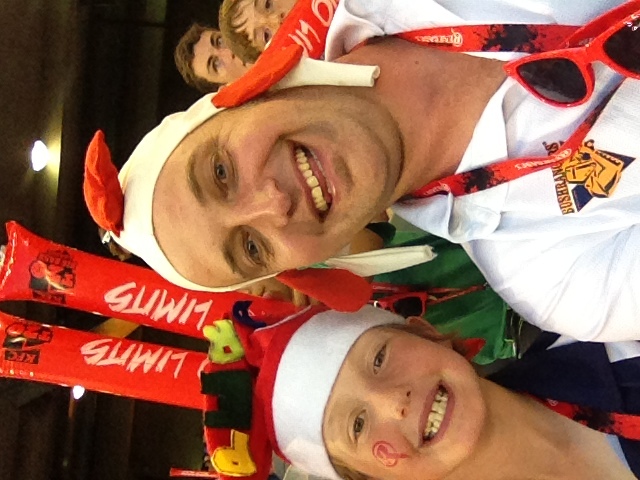 The Dragon Juniors enjoyed their first visit to Etihad Stadium on December 22 for the inaugural Renegades T20 Match as part of their Club Membership Package. 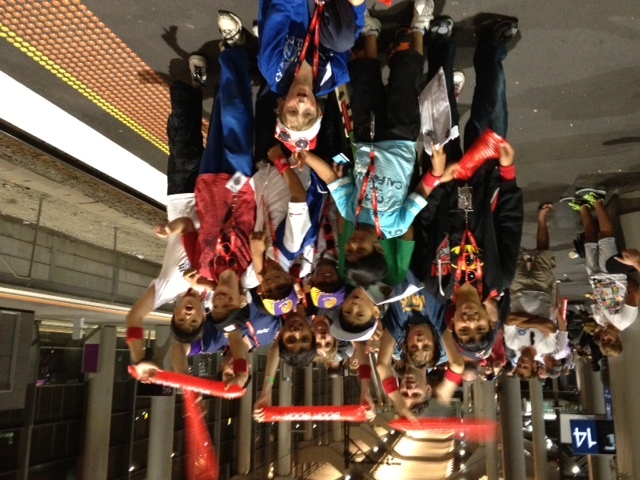 The group included two Vietnamese, four Indians, a Filipino, and four Anglo-Aussies many of whom hadn’t been to a cricket match before. 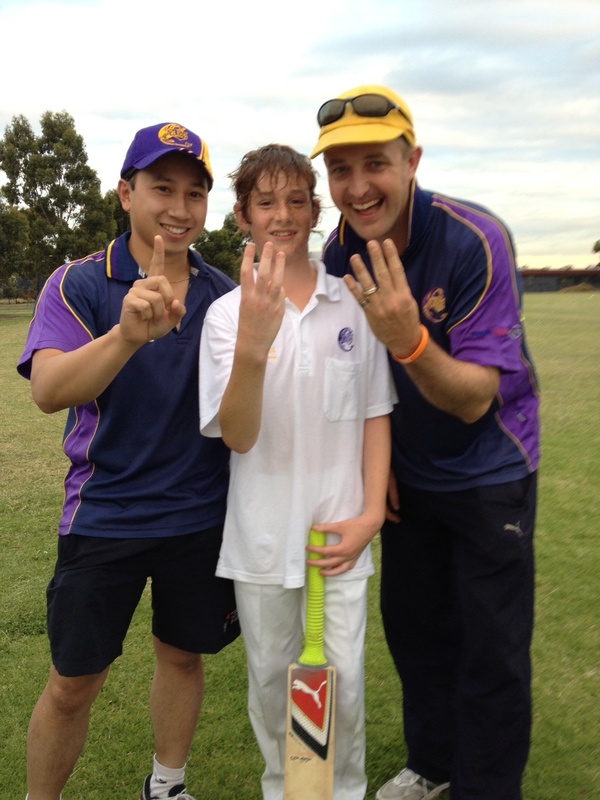 Thanks to parents Bill Field, Darren Andrews and our new Good Cricket Allround intern for 2012 Jesse Schram. 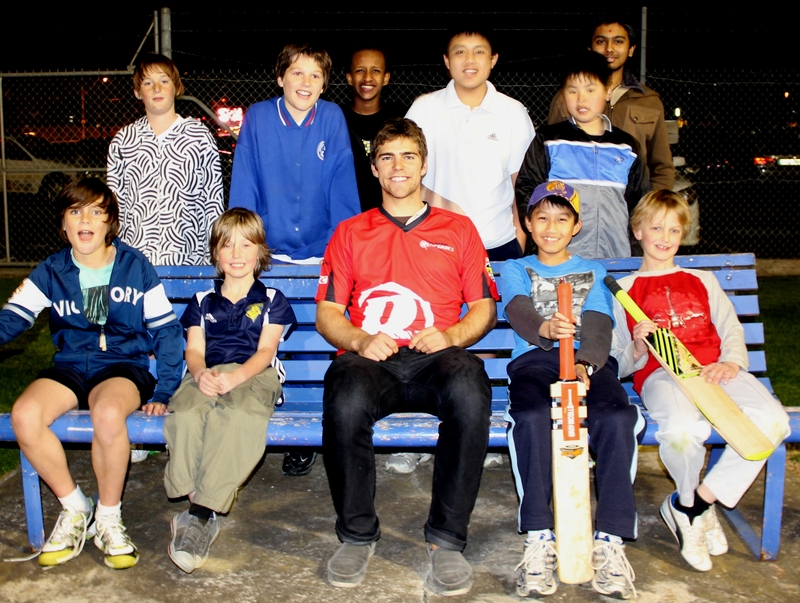 Ryan Carters from the new Melbourne Renegades met with participants of Barkly Street Uniting CC’s Dragon Junior Cricket Program at Robert Barrett Reserve near Highpoint Shopping Centre last evening. 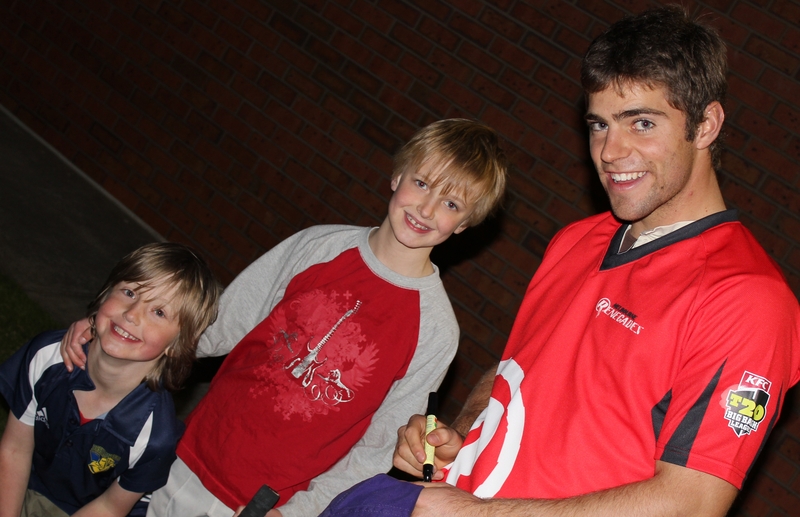 As part of their program Barkly Street Uniting CC has signed up with the Melbourne Renegades unique community membership initiative where 10 club juniors allows 2 adults to attend T20 games in the Big Bash League based out of Etihad Stadium for free.